This picture was taken on March 28th, 2017. I spent the day, again, unusually warm for Ohio weather, at Mentor Headlands Beach in Mentor, Ohio. 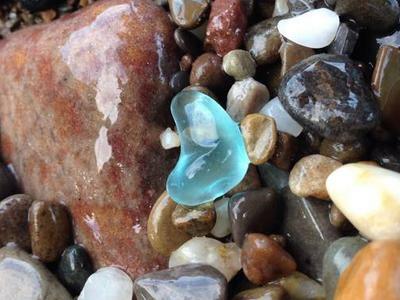 I kept thinking how many soft colored blue beach stones I found. 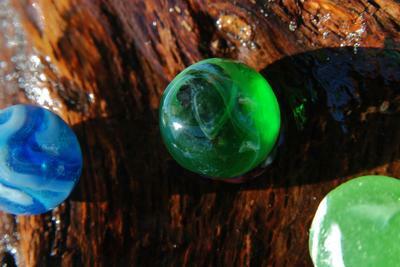 It wasn't the warmest day, but my love of finding glass kept me going. 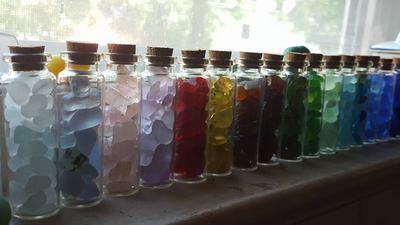 When I got home and sorted out my finds for the day, I separated the regulars (brown, clear, green) from the pastels. At that moment I found the meaning. It was a gift for Easter! I formed my finds into an egg shape. I find when I walk along the beach with the "intention" to "find" the perfect glass, I don't succeed. In fact, if I clear my mind and let myself be calm and clear, what is meant to come to me will come. 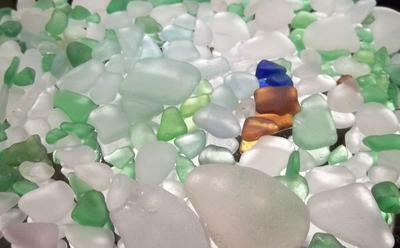 Beach glass collecting is so much more than a hobby. It is spiritual to me. Happy Easter or Happy April to everyone! I used my galaxy S7 phone to take this picture. I love this picture. 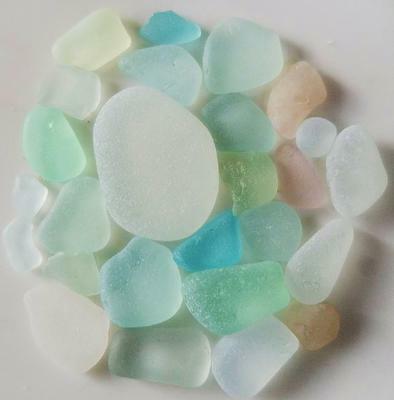 It is so perfect for Easter and the beach glass is absolutely beautiful, all weathered and frosty!